Ballardvale (a neighborhood in Andover, MA.) - MBTA Eengine 1117 is pushing mid day train 216 as it makes its flag stop. Two things caught my attention. 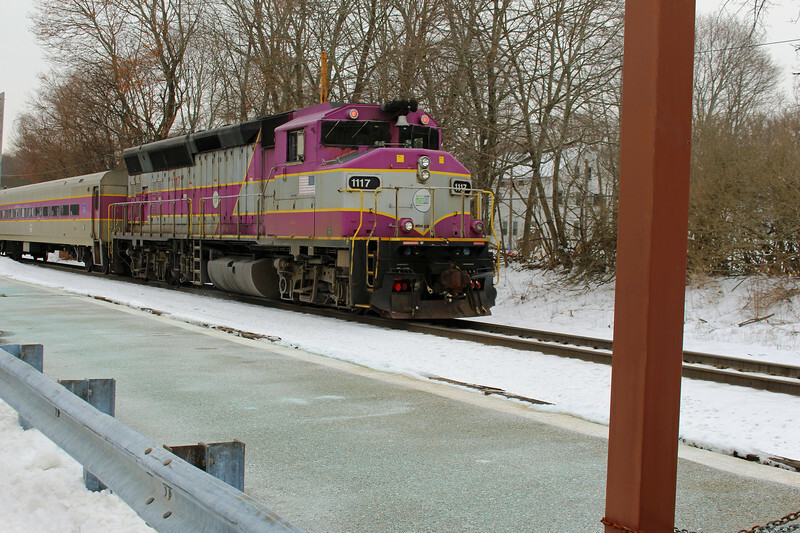 The MBTA circle "T" logo on the nose and face of engine has been replaced with a MassDOT logo although the engine retains the MBTA purple color scheme. The electric sign on the platform now advises passengers when the next train is a flag stop and they must be in plain sight on the platform.